I've often complained the worst part of Comic-Con every year is having to endure four days of Chris Hardwick moderating every panel in Hall H. Well, that won't be something to worry about this time, but the reason it's happening is unexpected. Over the weekend Hardwick's ex-girlfriend, TV personality Chloe Dykstra, penned a lengthy and emotional message on Medium that levied some serious assault allegations him. As expected, the blowback against Hardwick has been swift and he's losing gigs at a rapid clip. Let's start with the biggie, and that's AMC pulling his talk show Talking Dead for the time being. AMC hasn't outright canceled the show, which is incredibly popular and due to return this week with guest star Donald Glover. The network also announced Hardwick will no longer moderate San Diego Comic-Con panels for them or BBC America. It's unclear if he will continue to be a major presence next month as he's usually the moderator for every major event in Comic-Con's largest auditorium. Furthermore, the geek culture site Nerdist, which Hardwick helped found and was most recently CEO of, has scrubbed any mention of him. Dykstra, in a final tweet before signing out of social media for a while, asked readers not to hold Nerdist accountable for Hardwick's actions as he had not been active with them for some time. The company issued a statement backing this up, stating that he no "operational involvement" for a couple of years before the end of his contract in 2017. 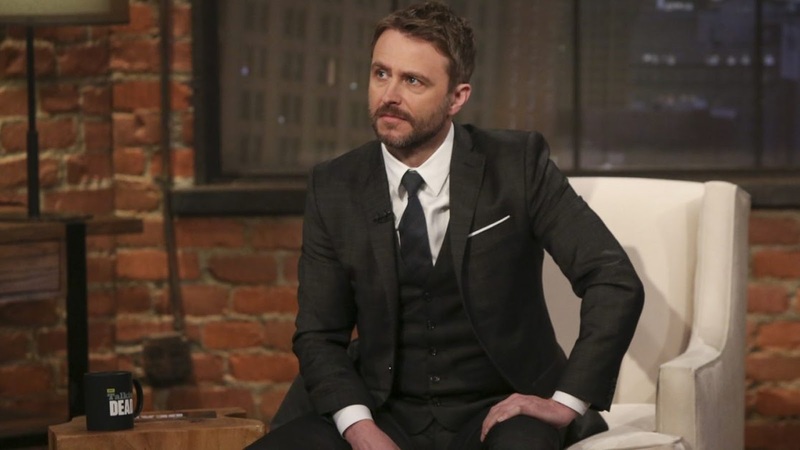 Finally, NBC is assessing what to do with game show The Wall, which Hardwick hosts and produces for the network. Chances are they will take a "wait and see" approach, much like AMC is doing before taking steps that are more final. Hardwick has denied the allegations in an official statement of his own, and ultimately we will see if anything comes of this legally. While Dykstra doesn't appear to be seeking anything from Hardwick, he may decide to take action for defamation or something along those lines. The court of public opinion doesn't require the even hand of the law, though, and both parties are getting hammered in social media right now. I tend to believe those who make these kinds of accusations until evidence proves otherwise, simply because the public scrutiny is so devastating. The truth will come out one way or another.